I love sport, and I love New Zealand. We New Zealanders support our sports people admirably, but take it all a bit seriously. Let’s just inject a little humour. Relax, it won’t hurt a bit. If you’re new to the site, the greatest hits page would be a good place to start, but don’t get your hopes up. 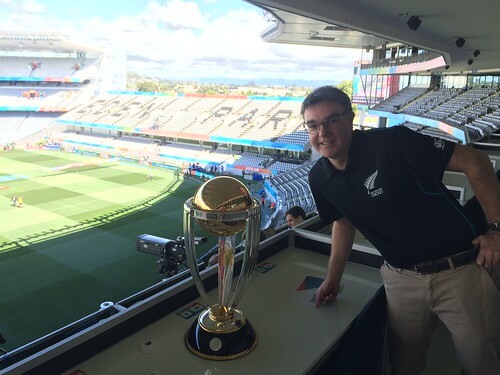 My day job is digital and social media at Fonterra – previous employer was New Zealand Cricket, there’s a bit about that here. richardirvine.com is my other blog, you can tell me how crap the site is on Twitter. I like playing football (lazy passing, mainly in the centre circle), cricket (military medium do-a-bits and wanna-be Lance Klusner with the bat), golf (20 handicapper, don’t get out much with the kids and that etc), cycling, etc etc. I support the BLACKCAPS and the ND mafia, the All Blacks, the Chiefs and Waikato and Tottenham Hotspur. All feedback, freebie tickets or food gratefully accepted at richard (at) sportreview dot net dot nz, without the spaces and that, you’ll work it out. Views expressed and attempts at humour or satire are mine, not my employer’s. They’re far too smart for this kind of carry on. I just saw on the net your post last year, complete with soundbyte, of Matt Gunn’s rant about your assessment of Radiosport. And how he said what a gutless dickhead you were and how he’d like to headbutt you because you did so anonymously because everything he did, he whined, he made sure people always knew it was him saying it. Well, didn’t the radio station just dump him two months ahead of his scheduled exit because he was the UNNAMED snitch hiding behind anonimity who spilled all to the NZ Herald re Tony Veitch’s return to Radiosport being extremely unpopular amonst the staff? Not exactly up front about that, was he? Rather low profile there, lol. Who deserves a headbutt now? He’s opening a cafe down in Twizel. I just hope his customers realise they’ll get a load of arrogant BS served up with every latte they order.